In 2014, Seattle residents voted 62% – 38% to raise taxes to prevent cuts to King County Metro Transit Seattle routes after a Countywide transit measure had failed just months before. A rebound in County revenues has allowed Seattle to instead use the money to add more transit service and ease overcrowding. 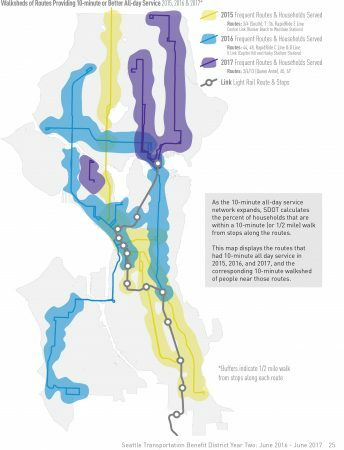 As the measure is set to expire at the end of 2020, Seattle is looking to partner with King County to pass a region-wide transit measure. The measure generates about $50 million a year through a $60 annual vehicle license fee and 0.1% sales tax. That influx of cash pays for roughly 270,000 hours of additional bus service annually. 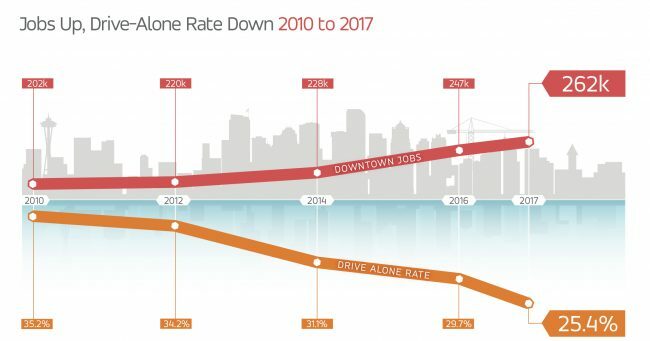 “When we did it the first time, a few years back, we intentionally set a relatively short-term horizon because partners throughout the County had said, ‘we know we failed in April, but please don’t foreclose Seattle joining with the rest of the County at some future date,’” O’Brien said. And if the County does want to partner with Seattle on a future transit measure, O’Brien wants to support it. This post is part of an STB series examining how suburban cities are preparing for light rail. Read the intro post here, or about how planning has reshaped Redmond’s urban form to leverage light rail and Kenmore’s push to be included in the ST3 plan. 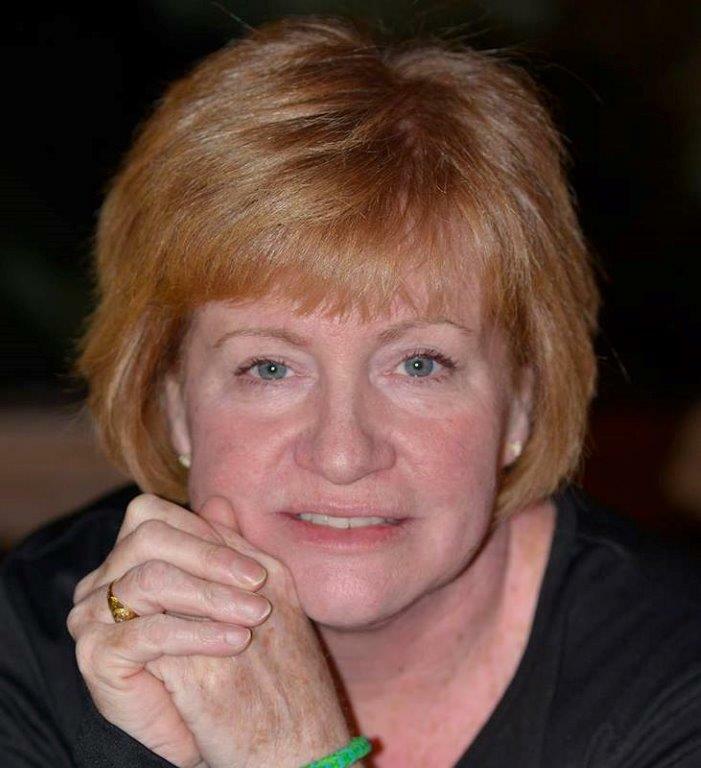 During Claudia Balducci’s first campaign for Bellevue city council in 2003, she was cautioned against using the words “light rail,” advised instead to say “high capacity transit”. But looking back, Balducci said, city sentiment was already shifting. 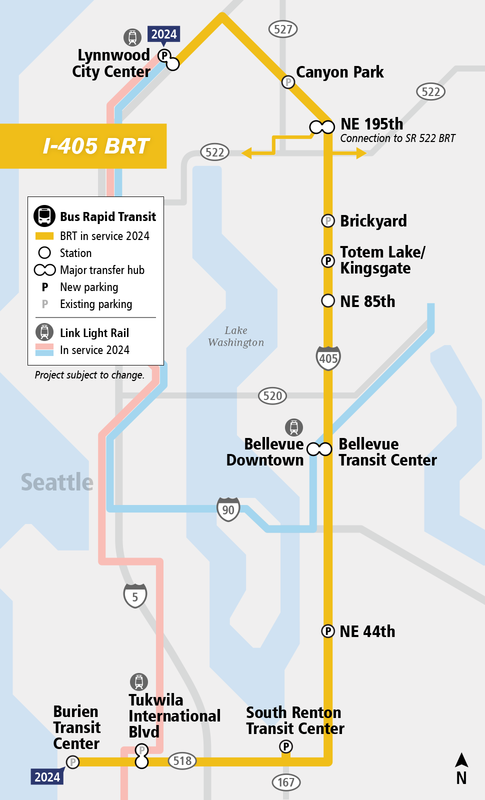 That support was apparent when 56% of Bellevue residents approved the 2008 ST2 package, which will bring light rail and six stations to the city by 2023. Ironically, Bellevue would soon acquire an anti-light rail reputation as a dramatic years-long battle over the downtown alignment unfolded. 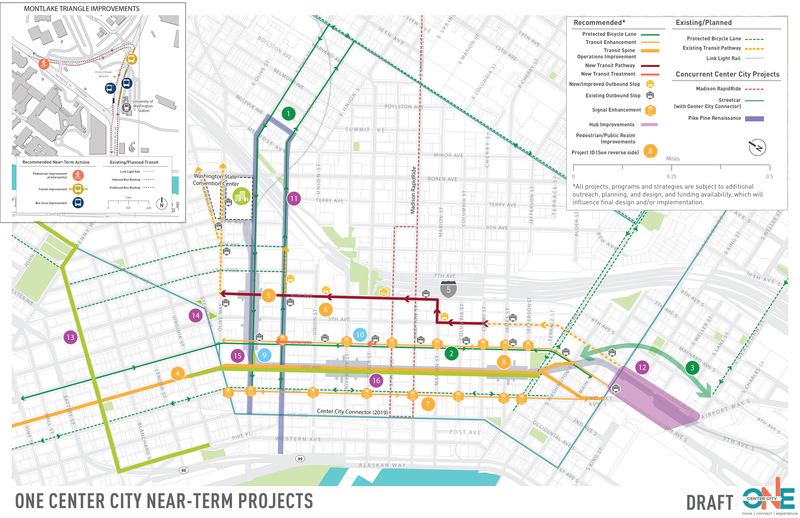 But even before the measure passed, councilmembers and city staff were already beginning to reimagine large swaths of the city, starting with the Bel-Red area, with light rail in mind. This spring, construction will finally begin on four seven-story mixed-use buildings above the Capitol Hill light rail station. Though an ideal place to build transit-oriented development (TOD), the land has sat empty since the station opened in March 2016. When the buildings are completed, probably sometime in 2020 according to Capitol Hill Seattle, 428 new housing units will be added to the light rail station walkshed. 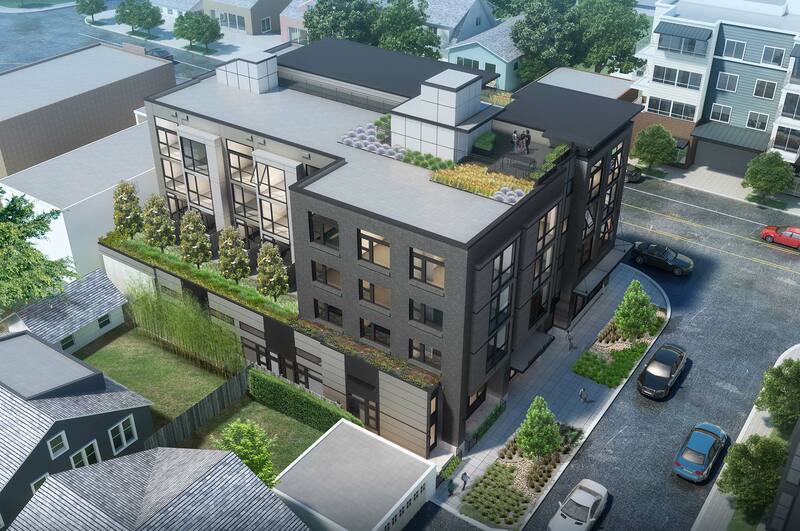 Of those new units, 41% — 176 of them — will be considered affordable housing. Sound Transit is in the final stage of updating its TOD guidelines that the agency says will make TOD an integral component of transit project planning and delivery, and could support bringing new development online when transit stations open, rather than years later. The ST3 plan requires the agency develop and implement “a regional equitable TOD strategy” and offer at least 80% of surplus property first to projects for families making 80% or less of area median income (AMI). 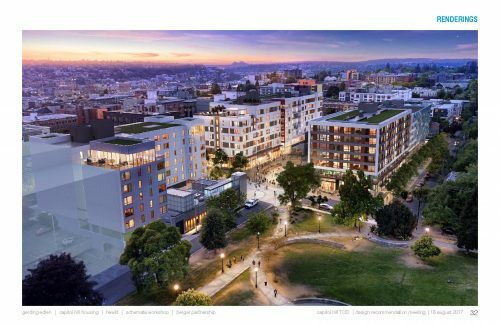 The agency, which has until May to update its TOD policy, released a draft at the March 22 board meeting. 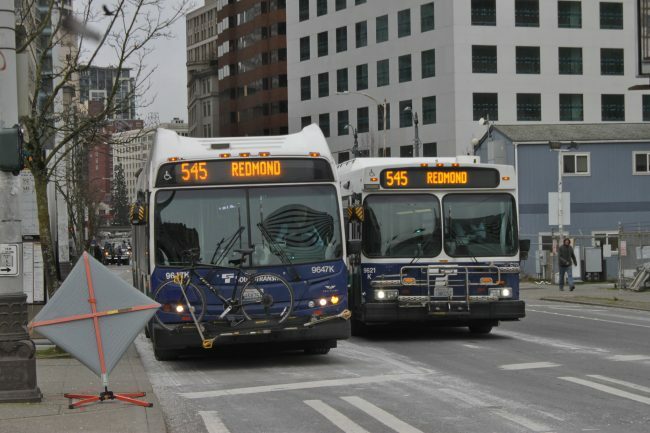 The draft policy declares goals such as “encourage [the] creation of housing options near transit with priority given to affordability” and “increase the value and effectiveness of transit by increasing transit ridership.” To reach those goals, the proposal lays out a specific set of strategies. However, affordable housing advocates, who called the draft policy a step in the right direction while addressing the board Thursday, urged the agency to include specific housing goals in the TOD policy. 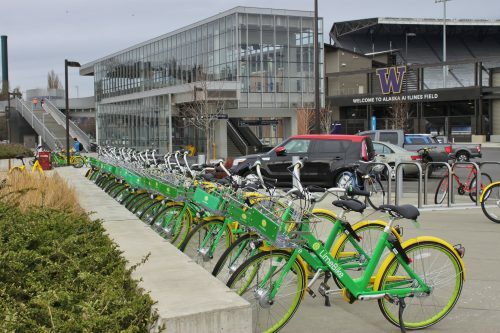 Taking lessons from Seattle, where some dockless bikes are being improperly parked and blocking sidewalks, Bellevue’s pilot establishes bike hubs, using paint and racks, to identify preferred parking areas. Operators will be required to offer incentives, to encourage riders to use the hubs, and disincentives, to keep people from parking the bikes improperly. Geofencing will be used to keep bikes from being left in the middle of parks. With over a quarter of blocks missing sidewalks and a backlog of street projects, the city is contemplating adopting a transportation impact fee as a way to help pay for new infrastructure needed to handle growth. Last week during a meeting of the Seattle Sustainability and Transportation Committee, Councilmember Mike O’Brien instructed city staff to begin developing a transportation impact fee schedule for these one-time charges paid by new development. Impact fees were authorized by the 1990 Growth Management Act, and today most urban jurisdictions have adopted some kind of impact fees for roads or parks. 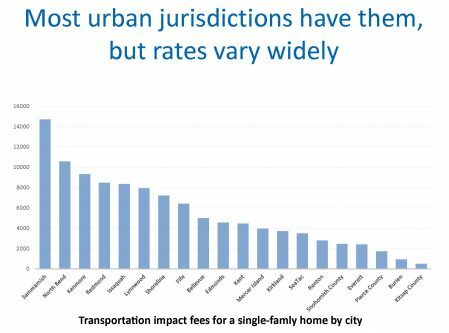 The City of Sammamish has adopted some of the highest transportation impact fees, charging new single-family homes close to $15,000. Seattle has considered impact fees for years. A 2015 staff report recommended further study of park and transportation impact fees, but competing priorities delayed the work. Councilmembers sitting on the Sustainability and Transportation Committee received an update on the progress last week. These funds must be used within ten years of collection and spent on projects that provide capacity for future growth. Impact fees cannot be used to pay for existing deficiencies, but they can be used for transit or greenway projects, according to Kendra Breiland, a consultant from the firm Fehr and Peers. “When you start thinking through all these parameters, many cities have started moving towards recognizing they can spend these funds not just on those traditional auto capacity projects, but we can spend them on much more multimodal projects,” Breiland told the committee. She said transit projects could include off-board fare payment, transit signal priority, rapid ride corridors, in-lane bus stops or curb bulbs. This post is part of a STB series examining how suburban cities are preparing for light rail. Read the intro post here and how planning has reshaped Redmond’s urban form to leverage light rail. 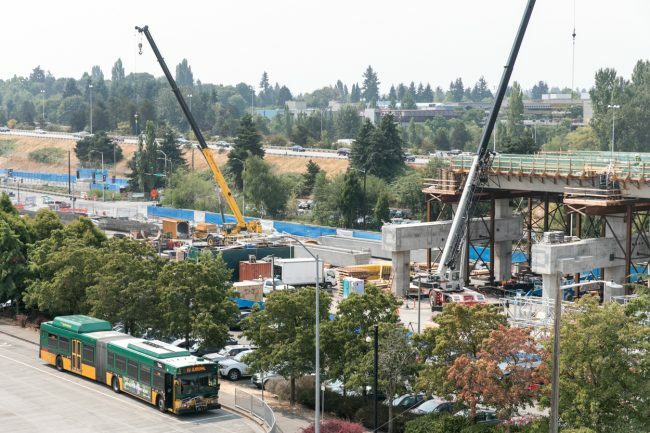 Years before many other Sound Transit 3 projects even begin construction, bus rapid transit will be moving commuters along SR 522 between Woodinville and the future Shoreline light rail station at 145th St. 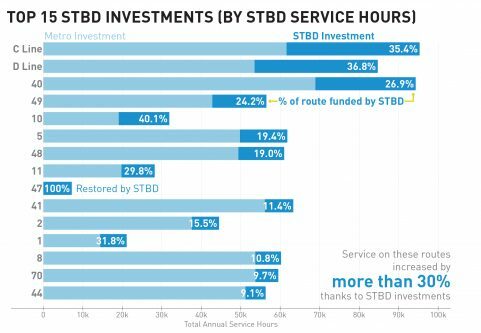 The BRT project, one of the early deliverables in ST3 and anticipated to open in 2024, might not have materialized without a push from residents and elected officials along the corridor. 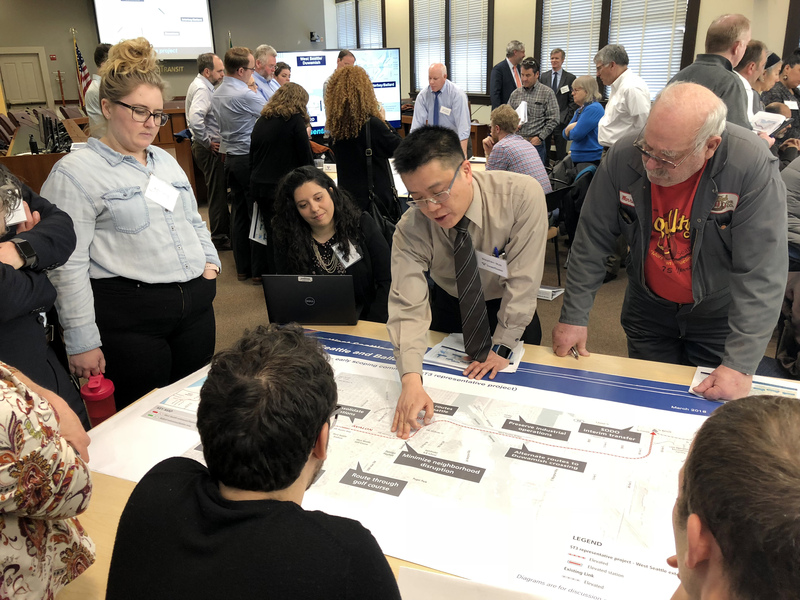 Not wanting to be left out of the third phase of transit expansion, a coalition from Woodinville, Bothell, Kenmore, Lake Forest Park and Shoreline attended Sound Transit meetings asking for better transit options. Abersold said it was Kenmore’s Mayor, David Baker, and city staff who recruited residents and nearby cities to join the BRT campaign. “We knew Kenmore all by itself wouldn’t be a loud enough voice, so the city took the lead and created a coalition of five cities,” said Rob Karlinsey, Kenmore’s city manager. “We got a big win out of ST3,” Baker added. Residents are thinking big, and some of the proposals Sound Transit received during the early scoping period for the West Seattle Ballard Link Extension (WSBLE) could strain the ST3 budget. ST presented the comments during a meeting of the WSBLE Stakeholder Advisory Group Wednesday night. West Seattle residents are pushing hard for a tunnel — rather than an elevated track — as the alignment enters the West Seattle Junction, with some residents offering to eliminate the station proposed at 35th/Avalon to pay for the underground alignment. “Don’t forget that you are building this for not only a generation but for centuries. 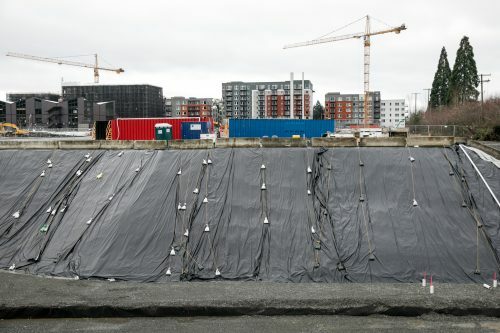 An eyesore now will be an eyesore forever and tunneling is a much better option,” one commenter wrote. Ballard overwhelmingly rejected the idea of a movable bridge over Salmon Bay, which residents pointed out could cause delays and impact reliability of the Link system. Meanwhile, residents of First Hill want to see the Midtown station located east of I-5 rather than closer to existing stations. Kenmore wants to bring a new mix-used development to the shores of Lake Washington and eventually replace the cement and asphalt plants. 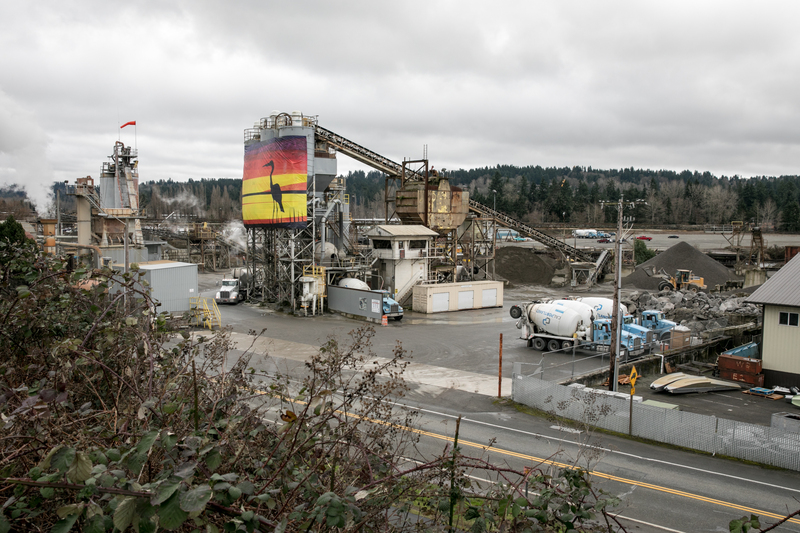 Home to one of the last remaining industrial ports on Lake Washington, the city of Kenmore longs to shed its manufacturing past and cultivate a new identity. Nestled at the top of the lake, the bedroom community wants to give passers-by a reason to stop. “Rather than just fixing potholes and writing traffic tickets, we wanted to be about building community and getting people connected to each other,” said Rob Karlinsey, Kenmore’s city manager. To do that, the city became a developer. Several years after incorporating, Kenmore bought a dilapidated 10-acre lot and resold the land after placing certain conditions on the parcels. A couple of economic cycles later, Kenmore’s new town square is taking shape — a year-round community space, 300 units of multi-family housing, and a medical clinic replaced an abandoned park-and-ride lot and a run-down grocery store. “The new town square area is giving Kenmore something residents never had before, which is a place for people to gather,” said Mark Abersold, a current resident who moved to the city six years ago. “We are hoping for a ripple effect that will be a catalyst for more redevelopment,” Karlinsey said, proudly showing off the new town square to the STB. After spending more than a year planning, the OCC group missed its goal of having a final mobility plan with near-term and long-term recommendations completed by December 2017. Though scheduled to meet monthly, the OCC Advisory Group hasn’t met since last September. Nor has the city begun implementing the near-term recommendations released last September by the group. Those recommendations include installing a cycle track on 4th Avenue; shifting more buses to 5th and 6th Avenues; and converting 3rd Avenue to an all-day transit-only street. LG: What are some of the biggest changes you’ve seen in your 10 years at Sound Transit? BT: Well, we opened light rail. That was huge. When I first got here, there wasn’t even really an operations department. There was this little group called ‘Transportation Services’; I’d always laugh and say that sounded like a hotel shuttle. I’ve since found out that on the West Coast it’s not an uncommon term for an operations group. But [the operations division] was very small; the agency had been very capital-focused. When I came in, there was maybe 21 months until we were going to open light rail. There hadn’t been quite the focus on operations and it really crept up on us. Declaring the first season of Trailhead Direct a success, King County is preparing for a second season while considering expanding the program to North Bend. 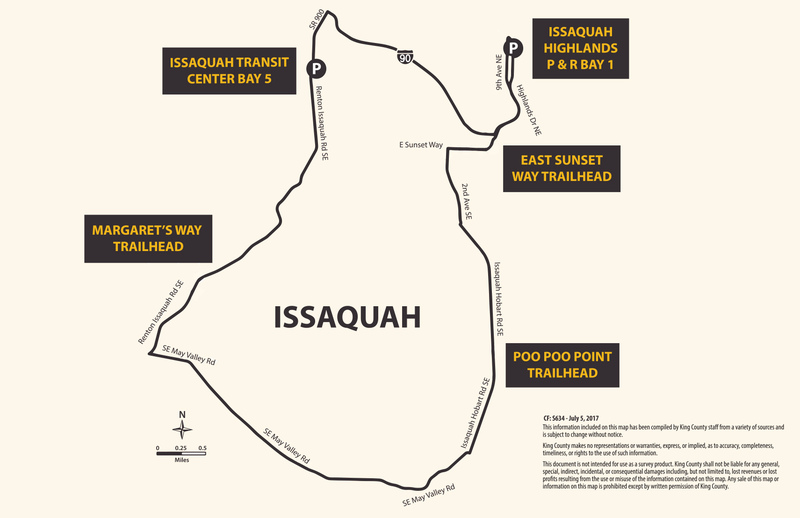 Trailhead Direct provided hikers an option to access trails in the Issaquah Alps using public transportation. The pilot program, which ran on weekends and holidays from early August to mid-October, aimed to reduce congestion at trailheads and broaden access to public lands. Nineteen-seat vans ran every 30 minutes between 7 am and 6 pm, picking up riders at Issaquah’s two park-and-rides and stopping at three trailheads on Squak and Tiger mountains. Riders were charged an off-peak fare. According to Lizzy Jessup, a project manager at King County Parks, about 900 hikers used the service, averaging roughly 40 riders a day. An on-board survey found over 90% of riders thought the service could reduce congestion at trailheads, and many riders wanted to see the service expand to more locations. 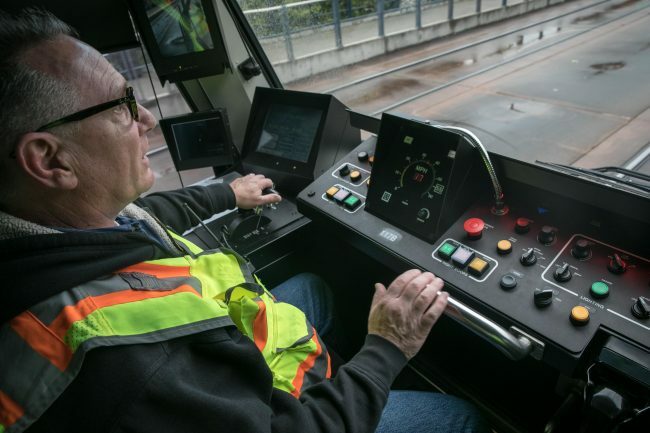 The on-board survey also found hikers accessed the Trailhead Direct shuttles both by driving themselves to the park-and-ride lots and also by taking Metro route 271 and Sound Transit route 554 from Seattle. 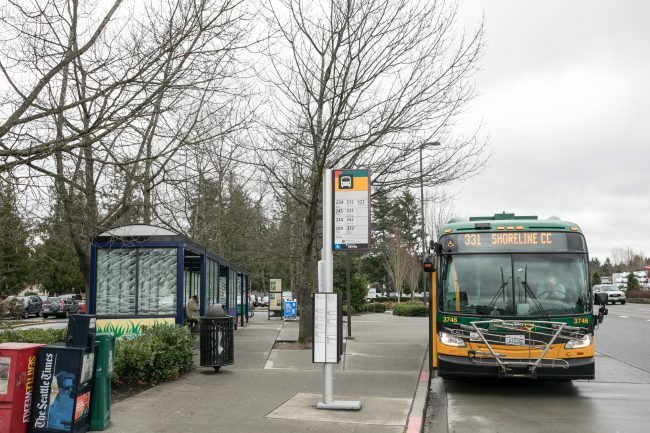 Jessup said King County Parks and King County Metro Transit are still weighing possible changes to the route and timing of the shuttles for next year. She added that, due to low ridership, the stop at the Issaquah Highlands Park and Ride will probably be eliminated this year. The two King County agencies also hope to expand the program and connect to trails in North Bend. Jessup said one consideration in North Bend is using satellite parking lots to add parking near trailheads. On Tuesday, members of the outdoor community gathered to brainstorm ideas on alternative transportation to the outdoors and the future of the Trailhead Direct service, hosted by the Wilderness Society and the Mountains to Sound Greenway Trust. Thursday, Sound Transit’s Operations and Administration Committee moved forward a staff recommendation that would establish a flat fare of $3.25 for all Sound Transit Express bus routes. This change would increase fares by $.50 for 70% of ST Express riders. The transit agency said this change would speed up boardings and make it easier for riders to understand the fare system. The full board is expected to vote on the proposal at its March 22 meeting, with implementation July 1, 2018 to coincide with Metro’s new $2.75 flat fare. Currently, ST uses a two-zone fare structure, charging adult riders who cross county lines $3.75, and $2.75 for routes that stay within one county. Riders on two-county routes traveling only within one county can ask the bus operator for an override and instead pay the one-county fare. ST said 13 of its 28 Express bus routes cross county lines. 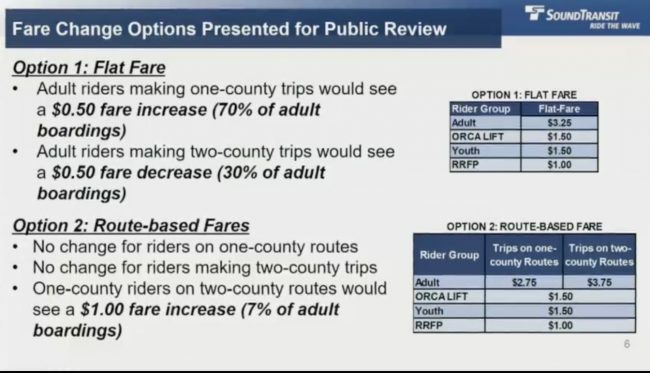 Sound Transit proposed two options: a $3.25 flat fare, or keeping the current system but eliminating the override for one-county riders on two-county routes. The agency said its goal was to simplify fares and have the change be as close to revenue-neutral as possible. 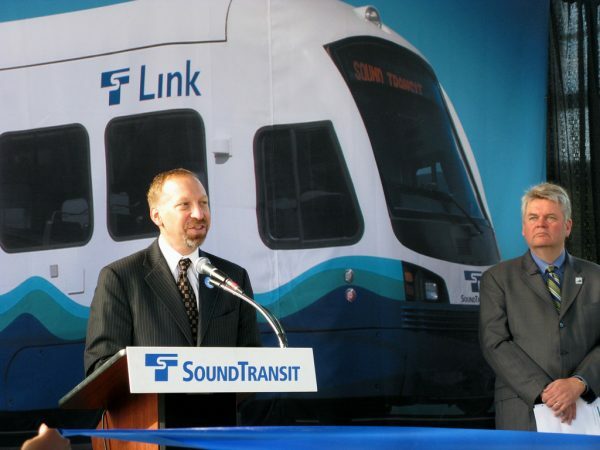 The Sound Transit Board denied CEO Peter Rogoff a salary bonus following reports from employees alleging he engaged in inappropriate workplace behavior, during a special meeting held Thursday. 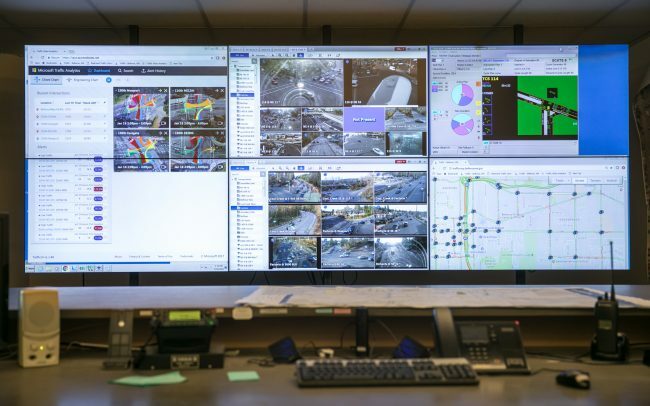 “It will include improving skills in listening, self-awareness and relationship-building inside and outside the organization,” said John Marchione, Vice Chair of ST’s board and Mayor of Redmond. Not all board members were supportive of the motion. Seattle Mayor Jenny Durkan and Seattle Councilmember Rob Johnson voted against the proposal. The future Northgate light rail station under construction. P3s are a procurement form which uses a single private entity for the design, construction, and possibly the financing, long-term operation, and maintenance of projects. The partnership offers several potential benefits to public entities, including reducing risk and costs, lowering agency workloads and providing additional debt capacity, without having to privatize the project. In the short term, P3s are more work for public agencies, which are still responsible for completing both the environmental review and design specifications for the bid process. In the long term, however, the partnership can eventually transfer a lot of work to the private company, freeing up agency resources. “When we are facing a project list [for ST3] this long, if there is an opportunity to have a public/private consortium take on an entire project, and not therefore have to grow the staff as robustly… just relieving us of some of that bandwidth would have some benefit,” Rogoff said during the Thursday Executive Committee meeting.